Small law firms are looking for any way to be competitive, not only with other small law firms but the enterprise-level firms as well. While it’s difficult to keep pace with the big fish, cloud computing has given small businesses like law firms a huge advantage that they never used to have. Large law firms invest a lot of money into vital legal applications and software that they use for their day-to-day operations. Smaller law firms need a lot of the same software, but not all of it, and they oftentimes can’t afford the huge bundles that software developers offer. This is because software developers create these bundles with the enterprise firms in mind, so the small law firms become an afterthought. Fortunately, a good cloud provider with experience serving smaller law firms have a workaround for this. The cloud provider purchases licenses at a bulk rate for the complete versions of these bundles. They can then sell specific pieces of the bundles to the smaller law firms at a discounted rate. Not only is the smaller firm able to access these enterprise-level applications, but they’re even saving money by doing so. What else can a cloud provider do for law firms specifically? Here are a few examples. Invoicing – The ability to see clients from wherever you can find an internet signal means that you can also bill them a flat rate from wherever you can find an internet signal. Being in the cloud means that your work never suffers when you’re away from the office, so you can communicate with clients just as well in a coffee shop than you can at your own desk. Electronic Signatures – Electronic signatures makes it possible for your clients and yourself to sign important documents online. Many law firms use this, but some of the smaller firms have not been able to utilize the technology until cloud computing made it so simple. Client Management – The faster you can communicate with clients and access files, the more time you save and the more money you make. Client management tools in the cloud allow small law firms a much more efficient system of organization and communication – including improved calendars, messaging software like Skype, and other web tools. Client Portals – A client portal gives your client a secure page to log into to access their files and any other information regarding their case or affiliation with your law firm. This is another tool that greatly enhances the efficiency that your law firm operates at, and the better organized you and your client are, the better your working relationship and job will be. Encryption Services – Encryption is a must for law firms as it is a must in any industry. Encrypting your files means that hackers and other cyber criminals will not be able to read information they have stolen without the encryption key, which would only be held by whoever has been granted permission to wield it. 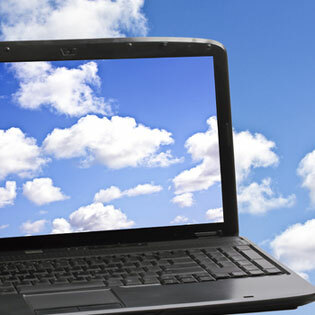 For more information on how cloud computing can help your small law firm grow, check out the TOSS C3 website or call us anytime at 1-888-884-8677.